I have never been a fan of gadgets that tell you when to water your indoor plants. I just use my finger to the first knuckle and it the soil is dry, I water. Works well for most plants. But then I joined The National Home Gardening Club. They have a feature that allows members to test various products and write reviews on them. We get to keep the product we test. One of the early items that I tested for the club was a Thirsty Light Ladybug. 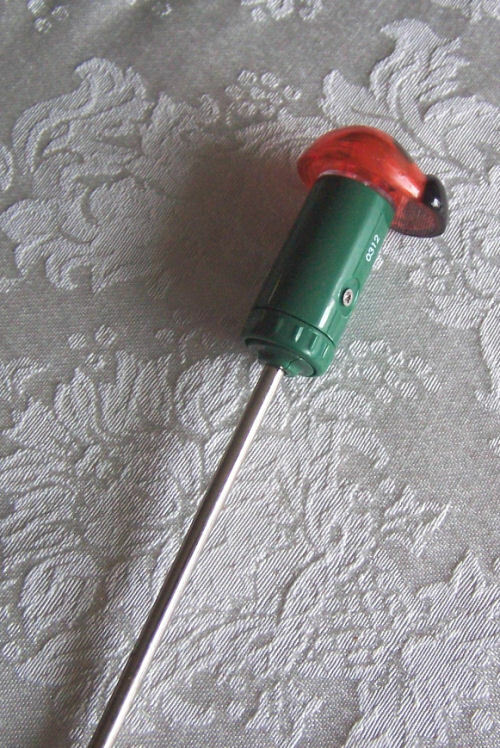 It is a cute little ladybug which is a digital plant moisture sensor. 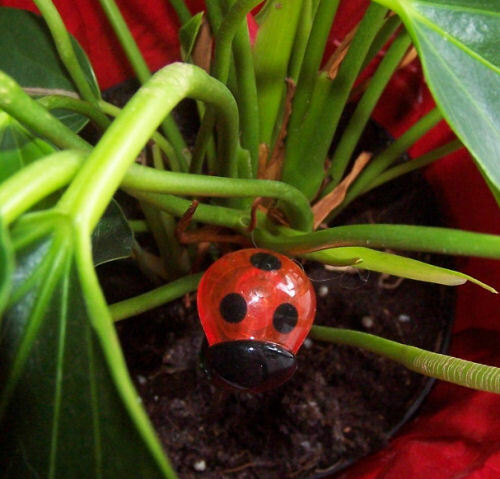 The ladybug blinks an LED to alert the user when it’s time to water a potted plant. It is designed to be unobtrusive when left in the soil of a plant, where it continuously monitors conditions, testing the moisture level once per second. Well, I am in love with this little guy. There is nothing cuter than to walk into the room where my Anthurium is growing and see the little ladybug flashing on and off alerting me to water him. I am convinced that he is the reason my Anthurium is as beautiful as it was the day I bought it last fall. Where can I get them. I have a lot of plants in my house and over the past few months I have had a hard time remembering to water them. I will not get into why, but I used to remember to keep them watered. That could really help me. if you click on the Thirsty Light Ladybug link above it will take you to the site for purchase.